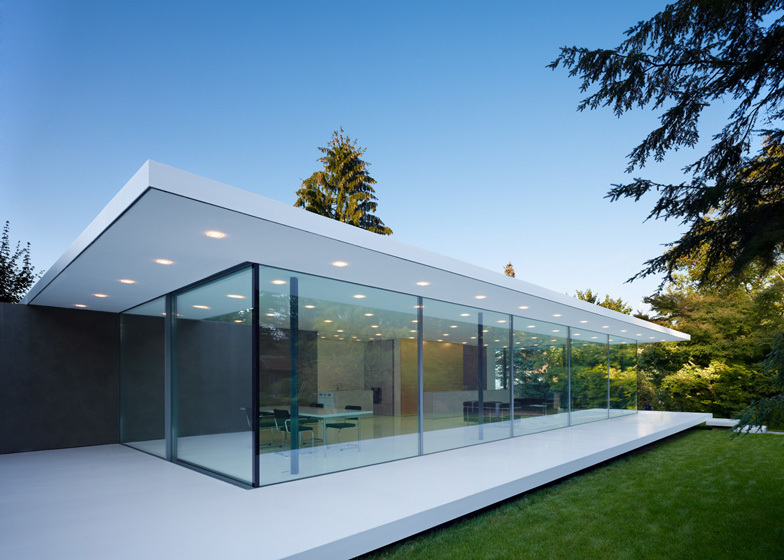 The glazed walls of this pavilion-like house in southern Germany are sandwiched between a roof and plinth that mirror one another. 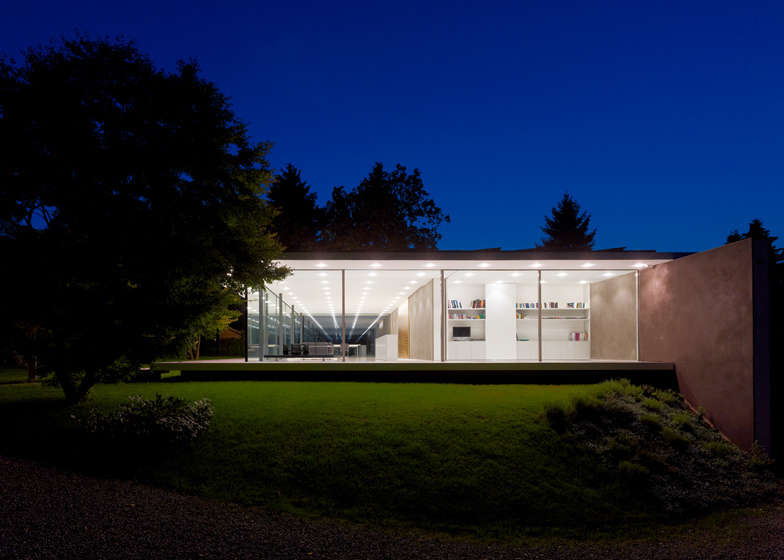 Completed by Stuttgart architects Werner Sobek Design, the ground floor of House D10 is raised just above the surrounding lawn, while a basement floor is concealed beneath. 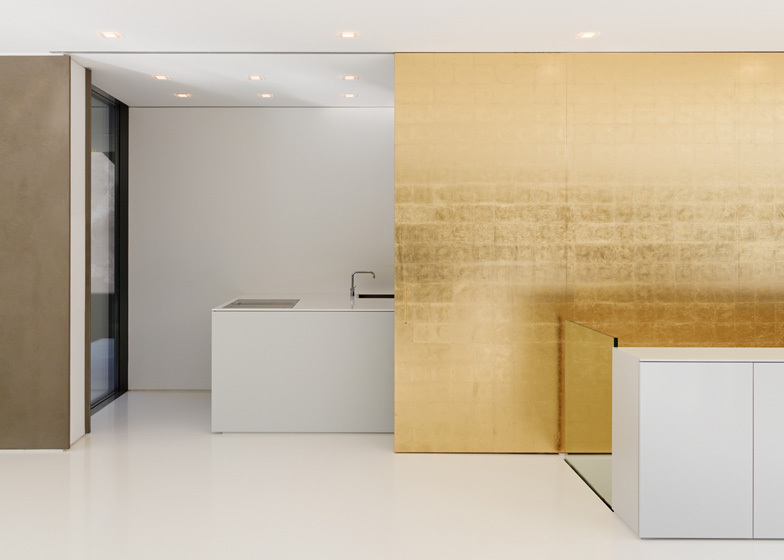 A large golden door is located in the centre of the living room and slides open to reveal a hidden kitchen. 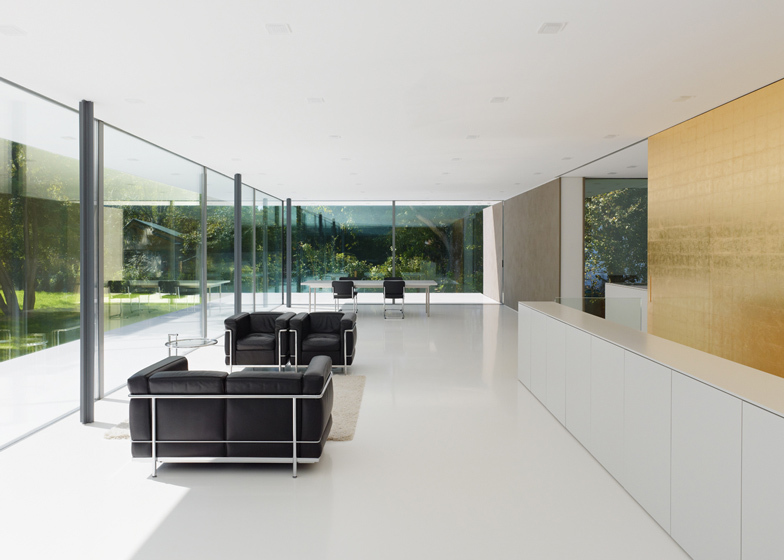 The house generates all its own heating and electricity through photovoltaic panels on the roof and a ground-sourced heat pump.